"Ok... gently pass me the scalpel.... gently... gently... AHHHHHHH!!!!" Bossa Studios' Surgeon Simulator makes its way onto the Nintendo Switch today, complete with local co-op play so you and a buddy can work together to definitely save people and not put a TV where their organs used to be. Nope. You'd never do that. The title originally debuted on PC back in 2013 and gained a lot of attention thanks to streamers. Wacky hijinks are always good viewing. It eventually made its way to the PlayStation 4, where local co-op was patched in, then to a variety of VR platforms, and now, to the Switch. 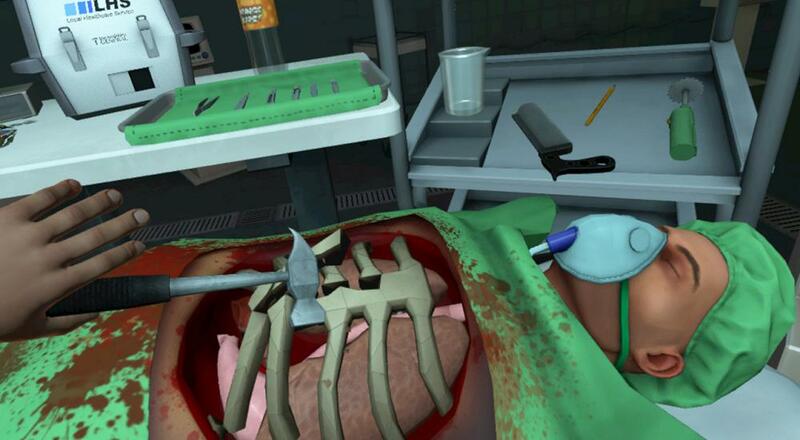 Like the PlayStation 4 version, local co-op play is supported on the Switch version so you can work together to perform delicate surgery with imprecise controls. Page created in 1.1451 seconds.